• No need for wire clips, staples, etc. Regardless of method, installation is quick, easy and inexpensive. 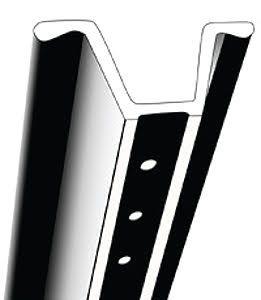 Lasts longer than wood and comes standard w/punched holes. 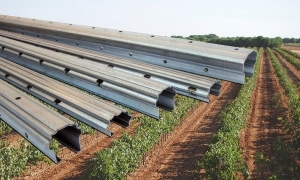 Built-in wire slots for quick and easy securement of trellis wires, makes construction faster & easier. 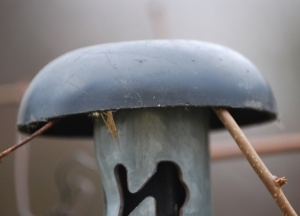 Used to protect bird netting from tearing at the top. 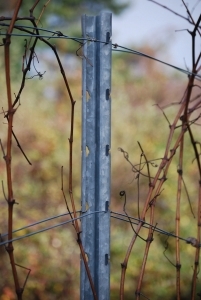 Used to increase trellis height of existing vineyard. 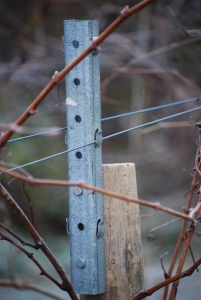 Driver over starshaped steel posts; bolts onto existing wood post using TEC screws.